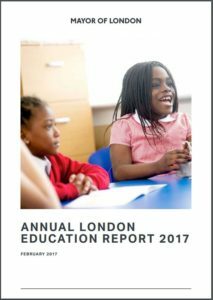 The proportion of London pupils who do not get a place at any school of their preference is significantly higher in areas containing a large number of religiously selective schools, analysis of the Mayor of London’s Annual London Education Report 2017 has found. Launched today at a special education conference in City Hall, the report assesses how well London’s education system is meeting the Mayor’s aim of ensuring that ‘every young Londoner, regardless of background, [has] the chance to fulfil their potential’. It finds that the two worst performing boroughs in terms of pupils’ access to their preferred schools are Kensington and Chelsea (K&C) and Hammersmith and Fulham (H&F), both of which are also home to the highest proportion of school places that are subject to religious selection criteria of all London boroughs. The report states that ‘The areas in which the lowest proportion of pupils secured their first choice primary schools were Kensington and Chelsea (68.3 per cent) and Hammersmith and Fulham (71.9 per cent)’. However, it notes that ‘a more pressing issue than securing a top preference is when pupils do not get a place at any school of their preference’, again revealing that K&C and H&F are the worst performing boroughs in this regard. At secondary level 14.1% and 16.2% of pupils in K&C and H&F respectively did not get into any of their preferred schools, which is compared to the inner London average of just 4.5%. Research previously conducted by the Fair Admissions Campaign (FAC) found that K&C is the most religiously selective local authority at secondary level in the country, with nearly 60% of places subject to a religious test. H&F has the fifth highest proportion of religiously selected places in the country, with around 40%. The figures suggest that the access of local parents to their local schools is significantly negatively impacted by the faith-based admissions criteria, with those living in areas where there are lots of religiously selective schools the worst affected. Despite this, the Government recently announced that it plans to remove existing rules which require new state-funded religious schools to keep at least half of their places open to local children irrespective of religion or belief, which has been the case since 2007. The move to drop this so-called 50% cap was proposed, in part, on the basis that it would serve to improve parents’ choice, a justification that is entirely undermined by this latest analysis.